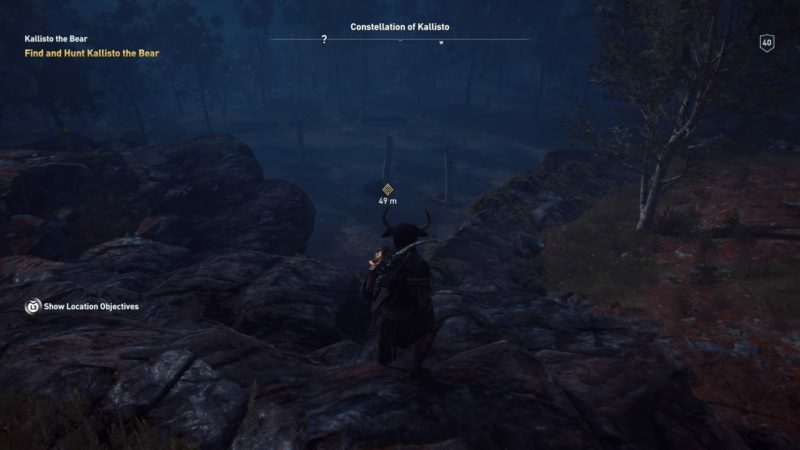 Kallisto The Bear is one of the mythical creatures you can hunt in Assassin’s Creed Odyssey. 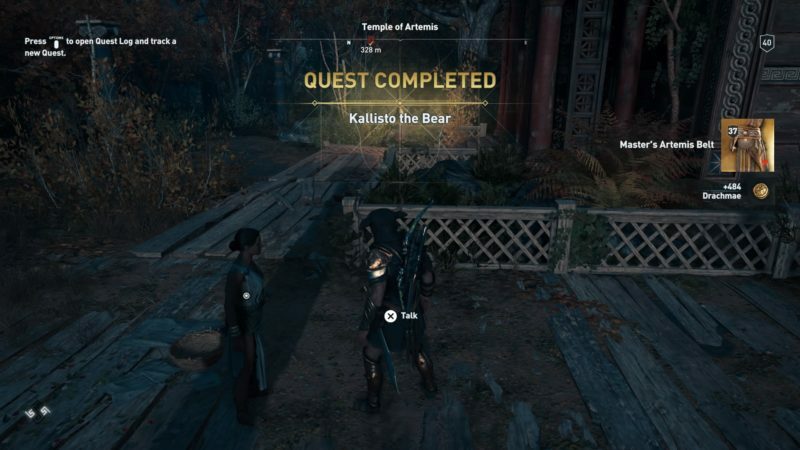 This quest was given by Daphnae (Daughter of Artemis) alongside 7 other hunting quests. 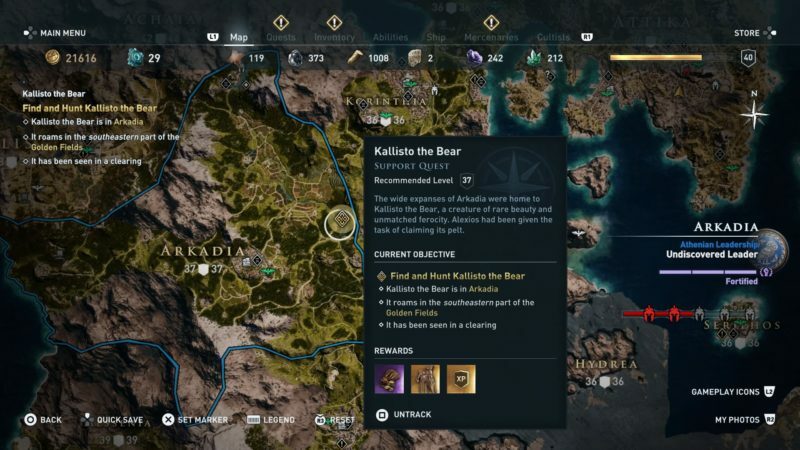 Here’s a walkthrough of Kallisto The Bear in AC Odyssey. This quest is recommended for those level 37 and above to be safe. 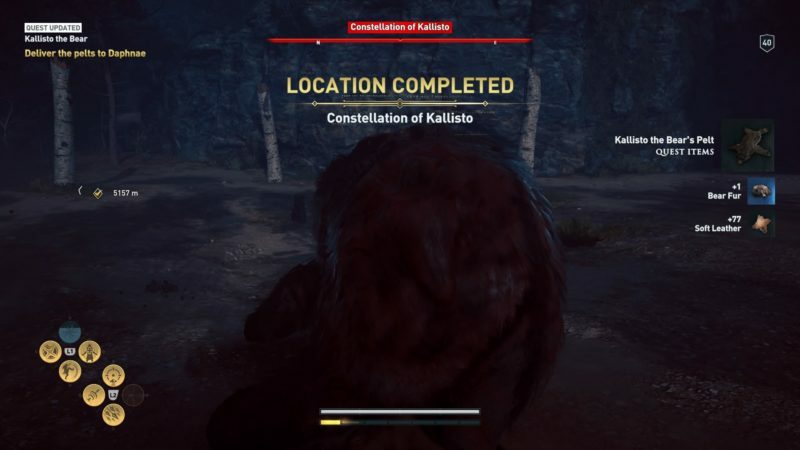 Your only objective in this quest is to find Kallisto the Bear and hunt it for its pelt. 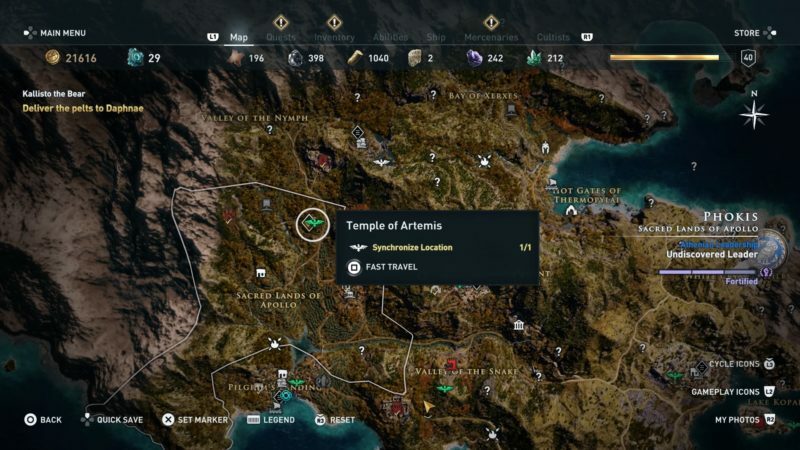 Its exact location is shown in the map below, marked as the quest symbol. 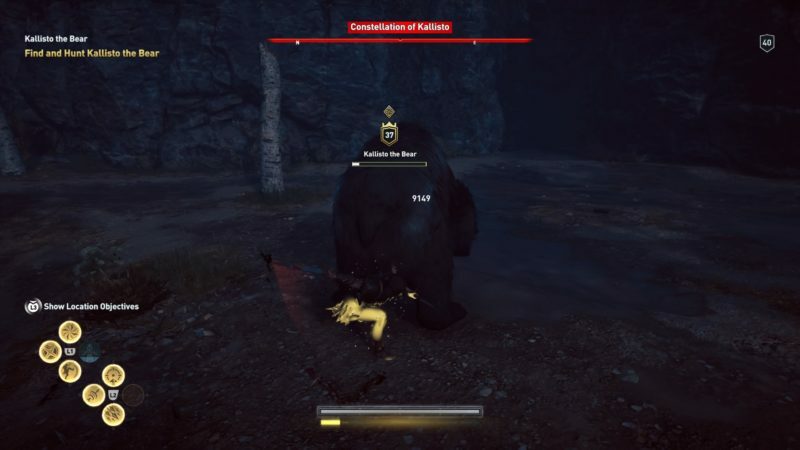 The bear is in the Golden Fields of Arkadia. 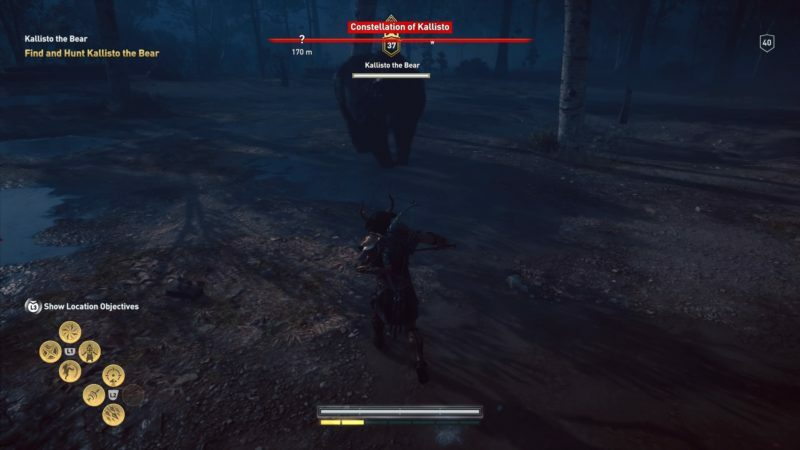 You will notice this open space and the bear is alone. Luckily, this mythical bear doesn’t call for reinforcements and it’s easy to kill. So far, everything has been easier than the Kalydonian boar. It’s also quite slow and predictable. Just avoid its frontal attacks, and hit its back or its side. It only took a couple rounds of using the overpower skill to bring it down. Once it’s dead, loot the body for its pelt and some other items. To complete the quest, deliver the bear pelt to Daphnae, who is at the Temple of Artemis in Phokis. There may be a romance option during the conversation. 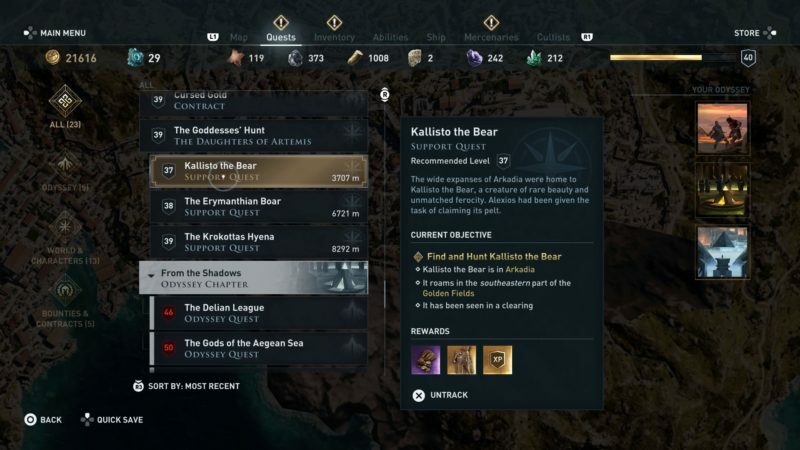 The quest completes here and you will get a Master’s Artemis Belt plus some drachmae.